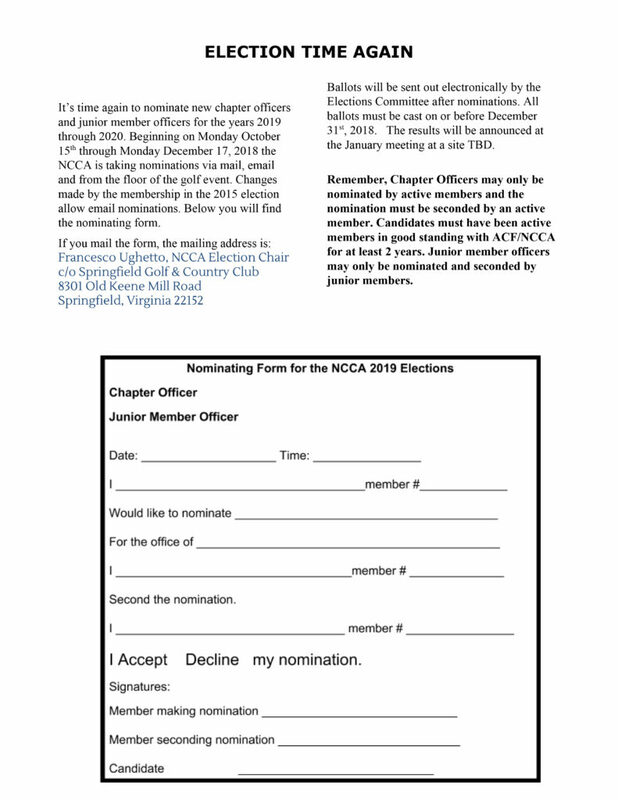 The NCCA is accepting nominations for the 2019-2020 term. 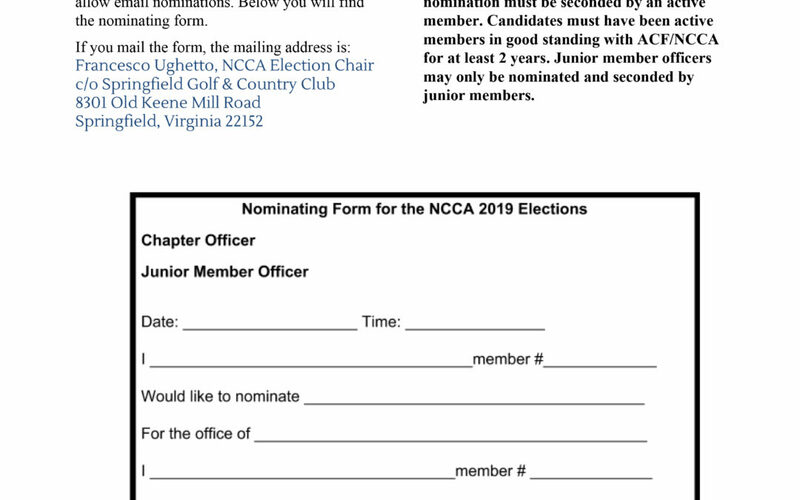 If you know someone who would be a good candidate for Chapter President, Vice-President, Treasurer or Secretary, please nominate that person, ask them to fill it out the attached form and submit to Chef Francesco Ughetto, our Elections Chairperson, at: francesco@sgccva.org. Please have all forms signed by the first nominator, the nominee AND the person seconding the nomination. All forms must be submitted by 12/17/2018 at 5pm. Candidates for office must be active members in good standing with ACF/NCCA for at least two (2) years in the local chapter. This is your chance to create change. Please consider running for a board position if you are eligible and capable of doing so.